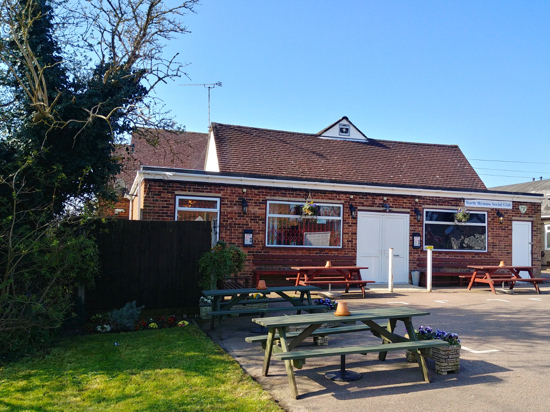 The group responsible for the Hope and Anchor in Welham Green says it’s “hoping to have the site open in two weeks time”. 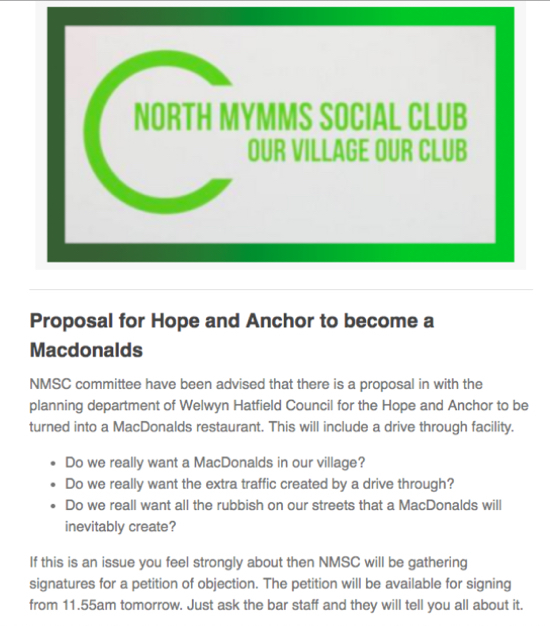 The update was volunteered following the issuing of an April Fool hoax by the North Mymms Social Club (NMSC) which claimed that “there is a proposal in with the planning department of Welwyn Hatfield Council for the Hope and Anchor to be turned into a MacDonalds restaurant”. 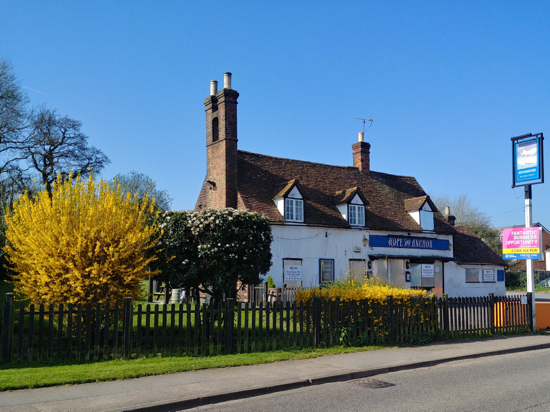 The historical North Mymms pub has been closed since November, and there were fears in the village that the Grade II listed building might have served its last pint. Do we really want a MacDonalds in our village? Do we really want the extra traffic created by a drive through? Do we reall want all the rubbish on our streets that a MacDonalds will inevitably create? Clearly a spoof aimed at regulars at the Station Road social club. Richard Smyth the Regional Manager for Ei Group when told of the hoax email and asked whether there was any truth in it said “Really, absolutely not”. He added that the group is planning to reopen the pub in the near future, possibly in the next two weeks “fingers crossed”. 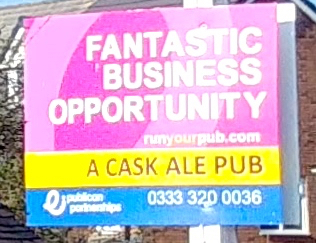 A sign outside the Hope and Anchor describes running the pub as a “fantastic business opportunity" to run a "cask ale pub". Last month the car park at the Hope and Anchor was blocked off following concerns raised by a local councillor that the space was encouraging drug dealing.